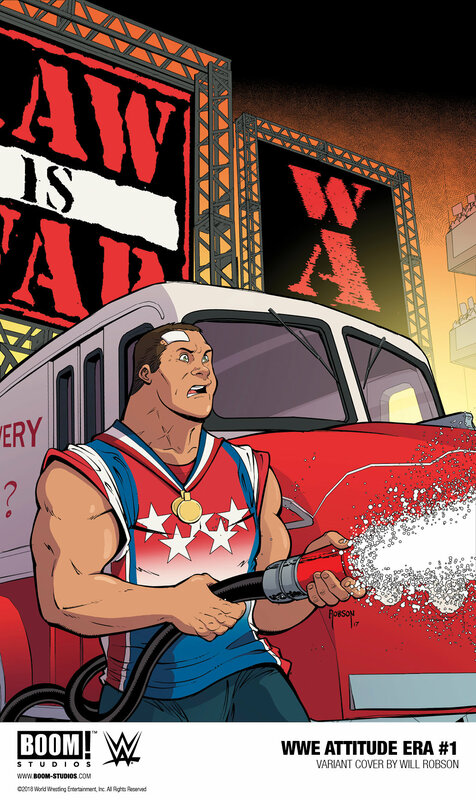 WWE: ATTITUDE ERA #1 features a main cover by Rahzzah (Luke Cage), with a variant cover by Will Robson (X-Men: Blue) with colors by Jeremy Lawson. 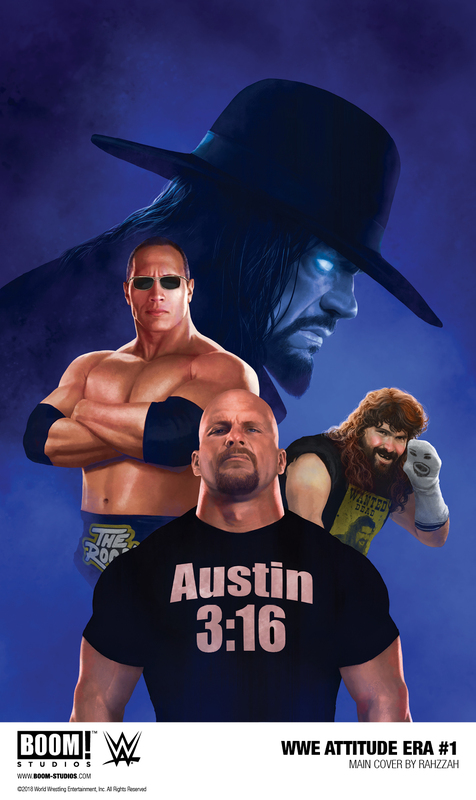 WWE: ATTITUDE ERA is the latest release from BOOM! Studios’ eponymous imprint, home to a world-class group of licensed comic book series and ambitious original series, including Mighty Morphin Power Rangers, Planet of the Apes, Big Trouble in Little China, Victor LaValle’s Destroyer, Mech Cadet Yu, Grass Kings, and Klaus. 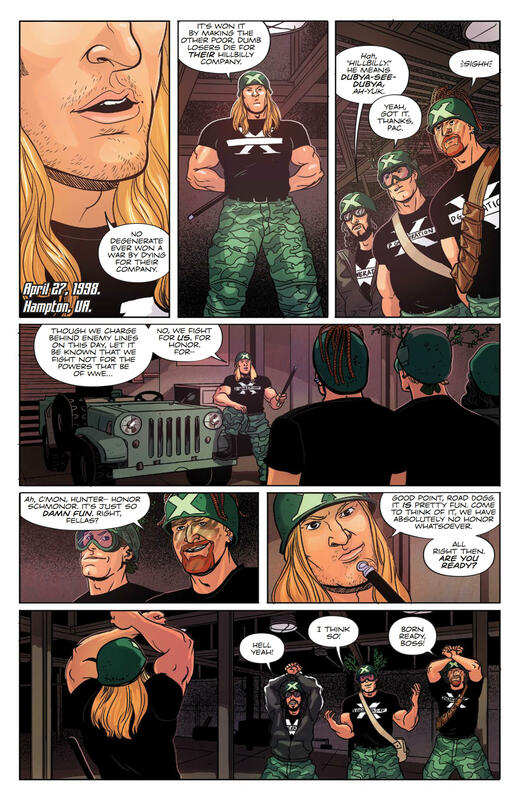 Print copies of WWE: ATTITUDE ERA #1 will be available for sale on August 1st, 2018 at local comic book shops (use comicshoplocator.com to find the nearest one) or at the BOOM! Studios webstore. Digital copies can be purchased from content providers, including comiXology, iBooks, Google Play, and the BOOM! Studios app.